The Scalloped Lace Baby Cardigan starts with a provisional crochet cast-on. You cast on four stitches and work a number of garter ridges. Then you knit the four stitches, turn the work clockwise 90°, pick up one stitch in each garter “ditch,” and then turn the work again, unzip the provisional cast-on and knit the four “held” stitches. This gives you a seamless 4-stitch garter edging that goes up one side of the cardigan, around the back of the neck, and down the other side. 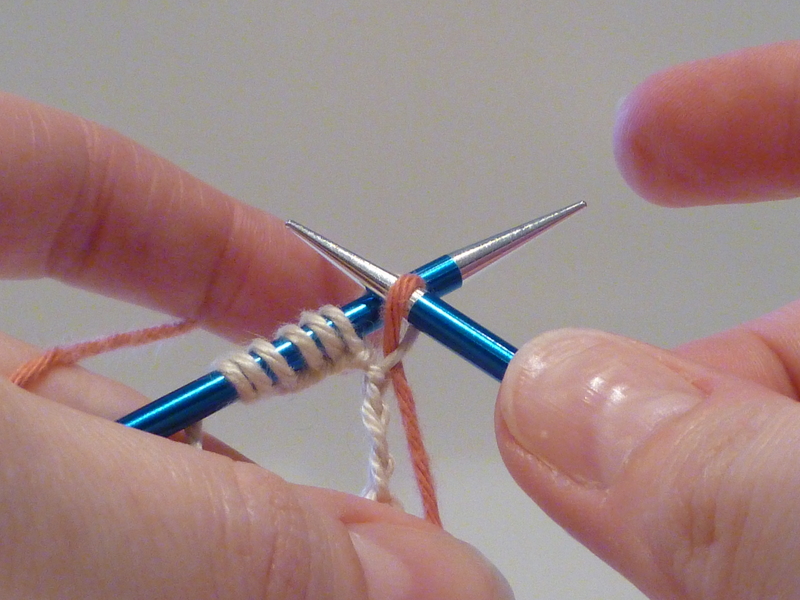 There are loads of ways to cast on that will give you live stitches going in two opposite directions. When I am going to be working the cast-on stitches right away (as you would in the toe of a sock or the bottom of a bag), I like Judy Becker’s Magic Cast-On (I like Jeny Staiman’s interpretation best), as it puts all the stitches on a needle or circular cable. But if I’m going to work in one direction for a while and then come back to other half of the stitches, I prefer to put the unused stitches on waste yarn using a provisional crochet cast-on. A lot of knitting references will have you crochet a chain first, then pick up stitches in the chain. 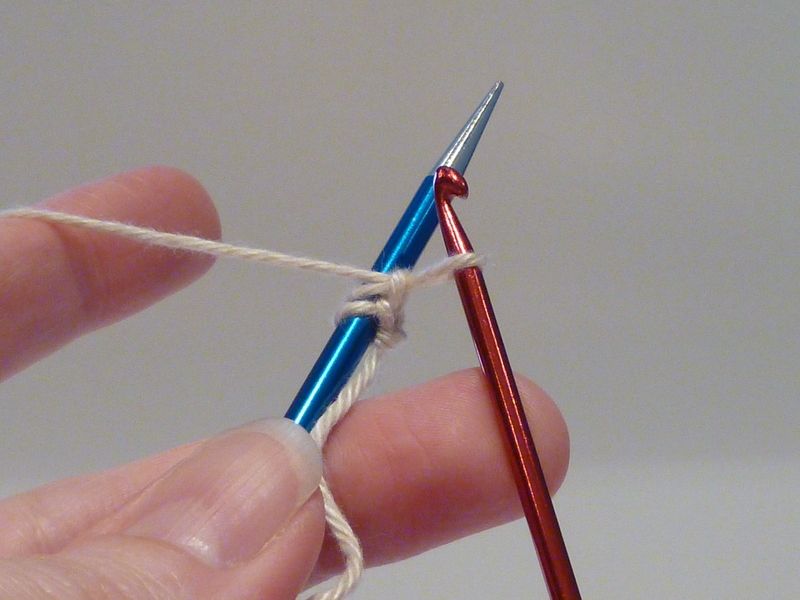 I find it far easier to cast the stitches directly onto my knitting needle. I’ve put together a simple tutorial to demonstrate this technique. I hope you find it helpful! 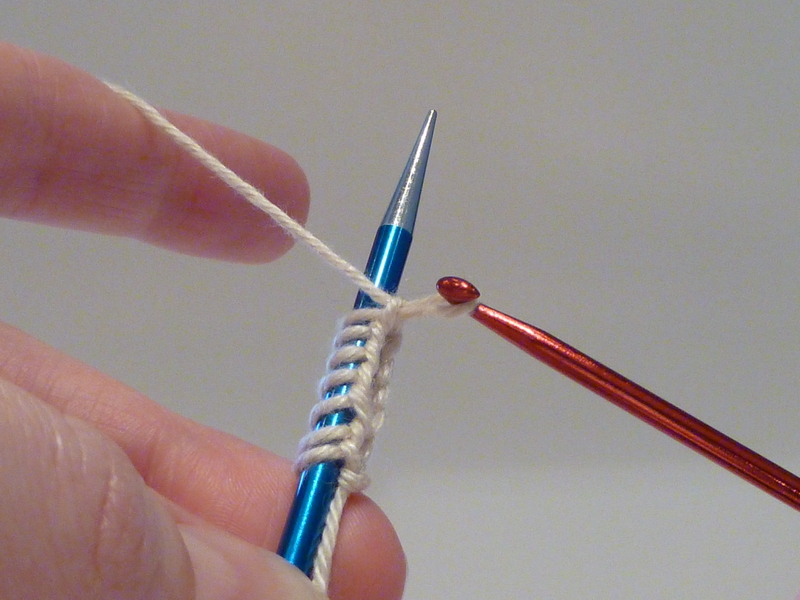 Step 1: Using your cotton yarn, form a slipknot and place it over your crochet hook. 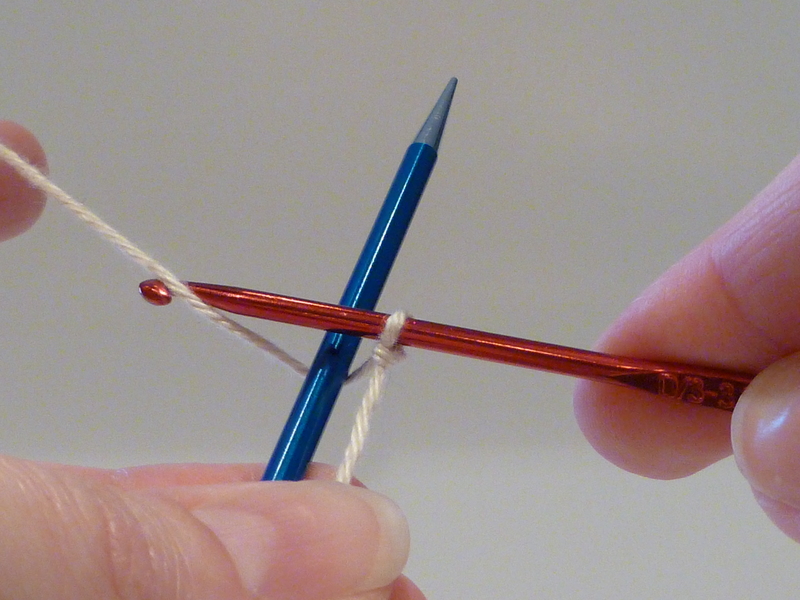 Step 2: Hold your crochet hook in your right hand and your knitting needle in your left hand, with the working yarn held behind your knitting needle. 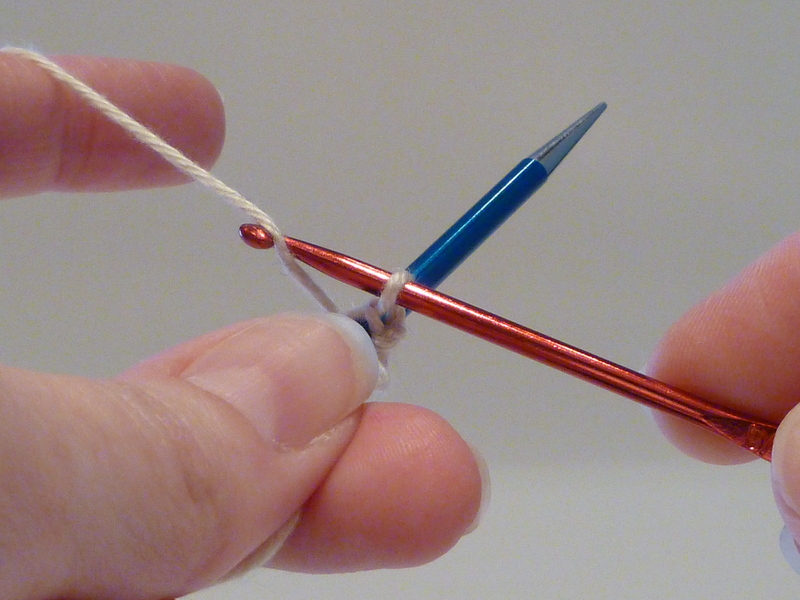 Step 3: Reach the crochet hook across the knitting needle and hook the working yarn. 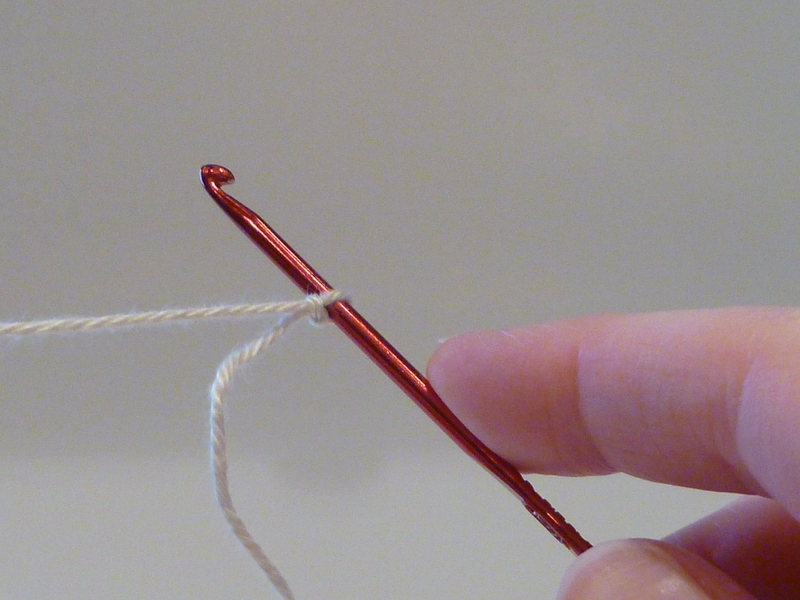 Step 4: Pull the working yarn through the loop on the crochet hook. Tug the working yarn until the loop around the knitting needle is snug (the loop around the crochet hook should have enough slack to make it easy to pull the next loop through). You have now cast on one stitch. Step 5: Move the working yarn behind the knitting needle. 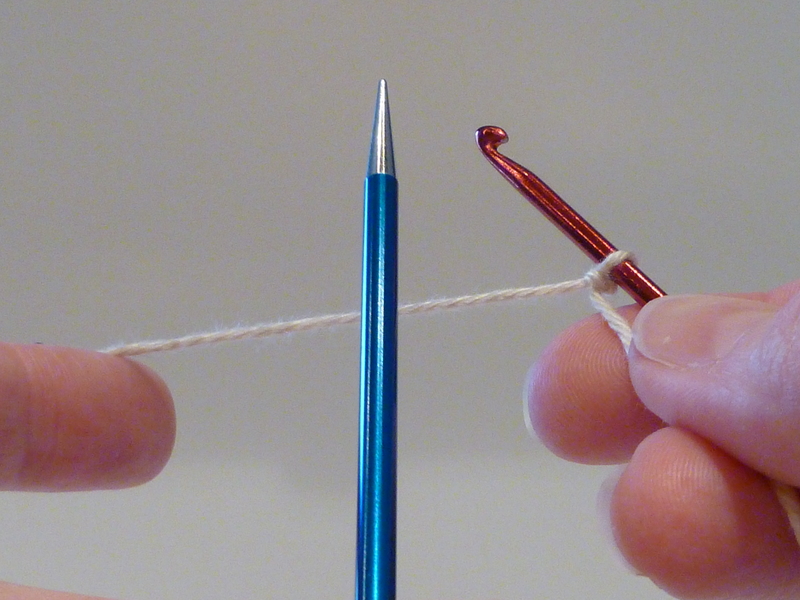 Hold the crochet hook in front of the knitting needle and reach across the needle to hook the working yarn again. 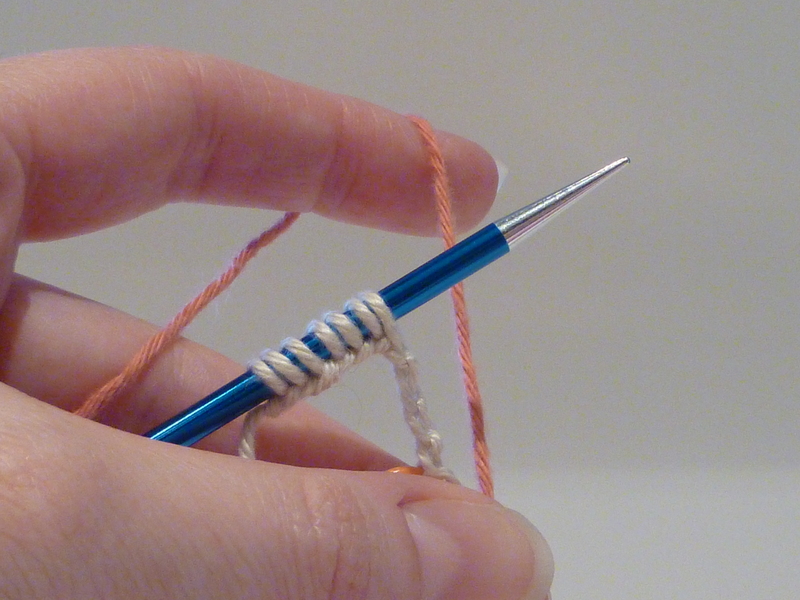 Step 6: Pull the working yarn through the loop on the crochet hook. Two stitches now cast on. 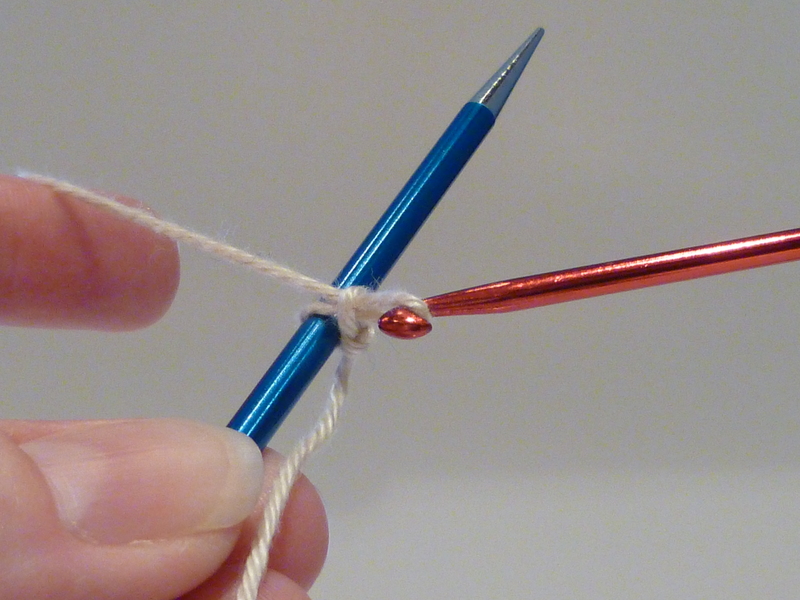 Step 9: Hold the working yarn for your project behind your knitting needle with the crochet loops. 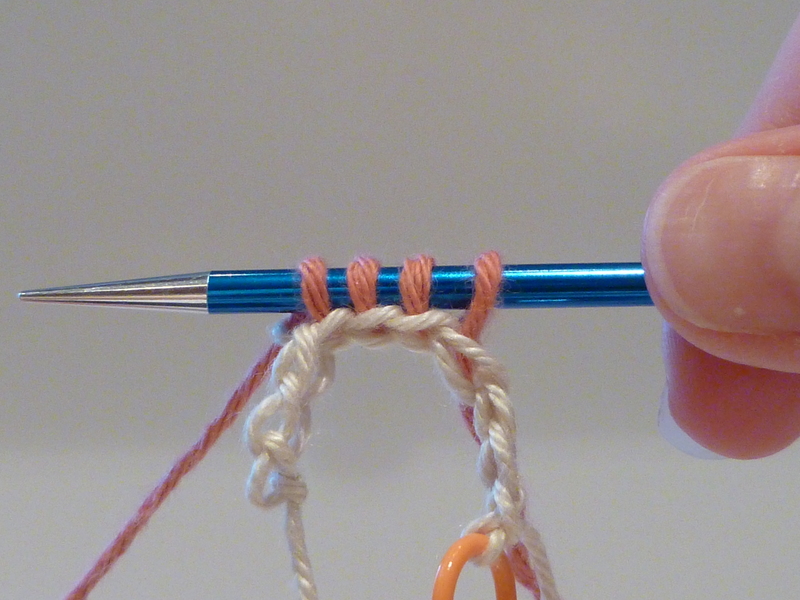 Step 10: Knit the first stitch as you would normally, then continue across the needle. Continue knitting normally. 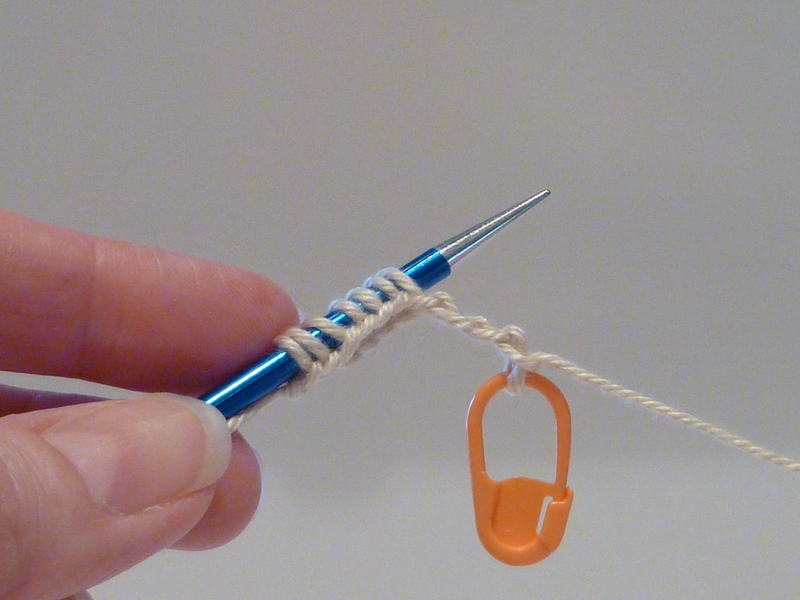 Your chained stitches will be held in place until you are ready to knit with them. When you need to free them, begin from the end with the stitch marker. Pull each loop out one at a time, placing each stitch on a free needle.